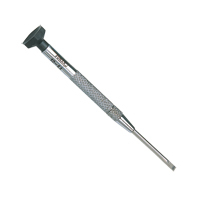 Jonard ASW-916 Speed Wrench double ended 9/16"
Jonard ASW-716 Speed Wrench double ended 7/16"
Wrench measures 7/16" at both the open end and box end. Both ends have an angle offset (15°) to ease access in confined areas. The box end offers 12 points of contact. High gloss chrome finish and made of chrome vanadium steel. Tool is 6 5/8" long. 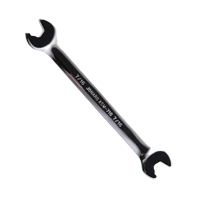 Jonard BW-532 Booth Wrench - Ergonomic design 9"
Tamperproof hex screwdriver, also known as a booth wrench or security wrench. 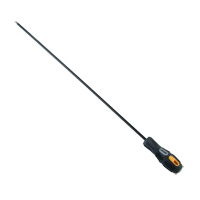 It features a 1" diameter screwdriver handle, 5/32" hex shaft with a hole drilled in the tip for use with security tamperproof screws used for telephone and CATV applications. 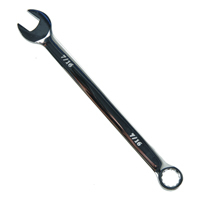 BW-532 Booth Wrench is 9" long and the BW-532-2 Booth Wrench is 6" long. 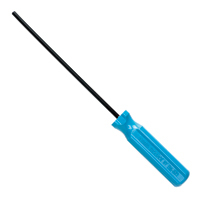 Jonard BW-532-3 Booth Wrench - Ergonomic design 6"
This 24" long #3 Phillips Head Screwdriver is designed for use when you need an extra long screwdriver to reach the diodes in back of the various rectifiers. Made of chrome vanadium steel with a matte finish and a custom ergonomic tri-color handle. 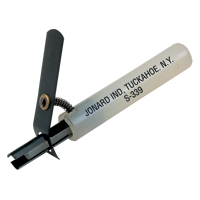 Metal tool with insulated handle to remove wire from quick-connect clips and 66 & 110 terminal blocks. 3/16" diameter with a 0.52" slot width. 5 1/2" long. Tool used for leveling coins in coin collectors when the coin receptacle becomes so full as to interfere with operation of the collector. May also be used to measure the degree of fullness by mean of a calibrated scale and metal slider. 7" long. Mechanical type extractor used to remove or insert miniature lamps with bayonet type bases in panels and switchboards by firmly and gently grasping lamps. 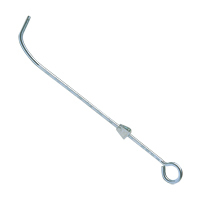 Grasp level includes a return spring for fast lamp insertion and removal. Lamp grasp is limited to 5/16" to prevent shorts. Handle diameter 1/2". 4" long. 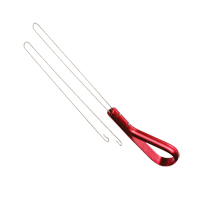 Durable red anodized aluminum handle with curved notched sewing needle. 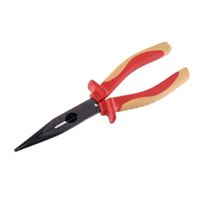 Designed to harness or lace multiple lead bundles. 5 3/4" long. 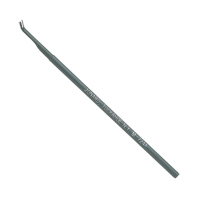 Replacement needles are also available. 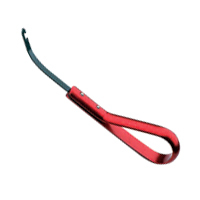 Jonard JIC-2257M Wire Loop Puller Overall Length 8 1/2"
Jonard JIC-2257M-12 12" Wire Loop Puller Overall Length 15"